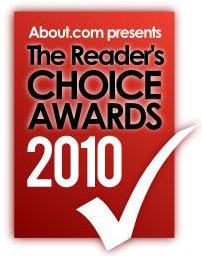 The About.com Web Search Reader’s Choice Award Winners for 2010 have just been announced and Surf Canyon won in the category of “Best Search Engine.” Surf Canyon prevailed over search engine powerhouses Google, Bing and Yahoo!. What is Surf Canyon you ask? I’ll give the simple answer first. Surf Canyon is Google on steroids (but it also works on Yahoo!, Bing, and Craigslist). It turbo charges your web searches. When you use Surf Canyon to perform a Google search for “wolf,” you will first get the standard ten blue links. Since Google may not know what you mean by wolf, you might see results for a Gray Wolf, the movie Wolf, Wolf appliances, Wolf ammunition, Wolf Blitzer, and so on. With Google you could keep going up to the search box and trying different keyword combinations, or you could keep hitting ‘next page’ until you found what you were looking for. That’s not very efficient. Using Surf Canyon as your starting page or by downloading the tiny, safe Surf Canyon browser extension you will see the little Surf Canyon bull’s eye icon next to each search result. Click on that and in almost every case Surf Canyon will pull search results like that one from as far down as 20 pages deep (100 pages deep is the theoretical max). Wolf Equipment: Griddles, Charbroilers, Ovens, Heavy Duty Cooking, Restaurant Ranges. The magic: With one click I had all of the Wolf Appliance search results! It says Discovery Engine in the title of this post because Surf Canyon helped me to discover those buried search results that I might not have otherwise found. If you really want to be precise, Mark calls it a Discovery Engine for Search™. …and if you’re like me and don’t know what that MIT speak means, watch the movie! Read next: Wird Google das Internet bald in Echtzeit indexieren?